Glad to see some people brave the cold to stand up for what they believe in. Hope it saves the libraries. (photo above from GuidoTallman) – quote “This is what democracy looks like in Lewisham”. That’s how much time you’ll need to allow, if you normally approach the station from the florist’s side. On the plus side, you get a new perspective on Blackheath from the top of the rickety bridge. 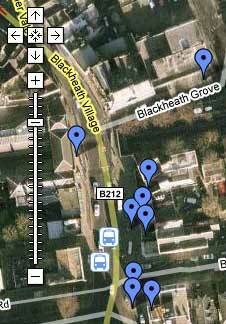 Those rooftop flats next to the library car park must have great view across the village- never realised they were so high up before. So it begins. 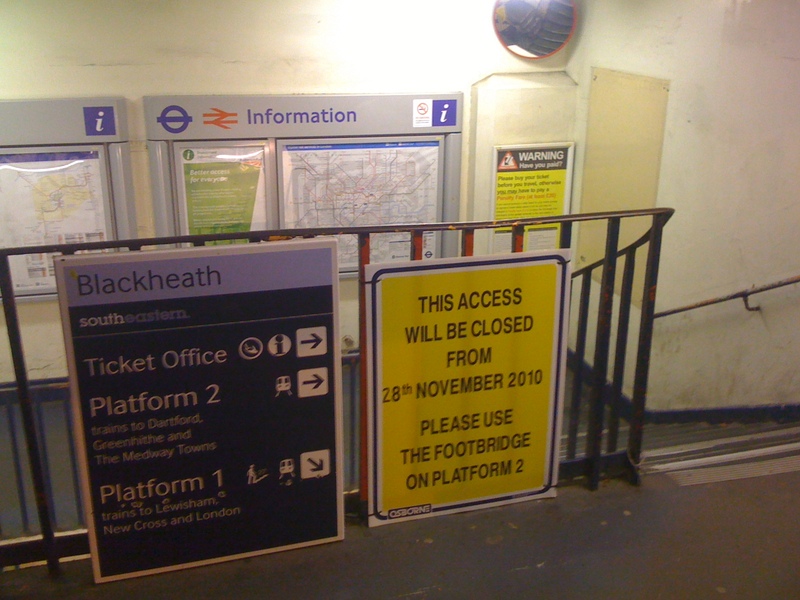 If you want go into London from Blackheath station, you’ll have to get onto the wrong platform, then cross over the rickety bridge… This work is to improve the station (junk food machines count as an improvement apparently), and to allow disabled access. The work was originally planned to be completed back in 2008. I think it was funded by the previous government’s Access for All policy, but I’m having trouble locating the planning documents… Anyway, according to Network Rail, the work should be finished by spring. That’s right. If spring means April, it will have taken 4-5 months to improve the station. It’s part of a series of posts written by Margot Wilson, whose daughter worked as a VSO volunteer, teaching science, in Rwanda. Her daughter was murdered in 2000 when the bus she was traveling on to Bujumbura in Burundi was attacked by rebels. She is now raising money which is given to groups in who are improving the lives of very poor people, usually in Rwanda. More here. The post was added about two years ago!